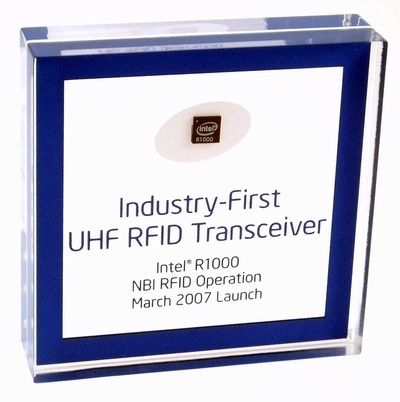 The RFID (Radio Frequency Identification Device) Chip is a device which stores unencrypted identification data that can be read wirelessly by a radio transceiver, also know as an RFID reader. 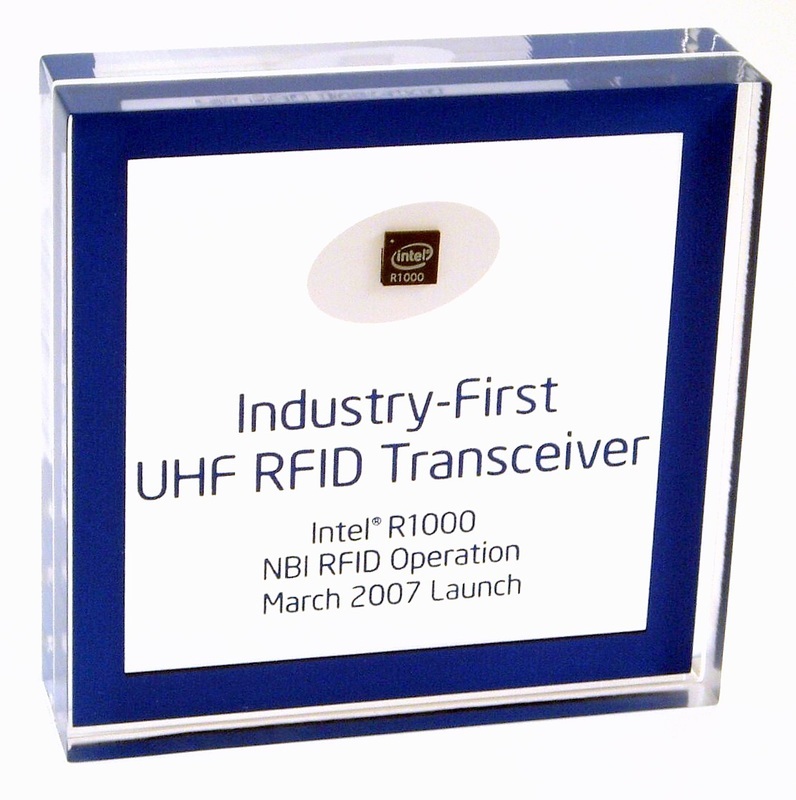 RFID was first patented in 1973, by Charley Walton (Passive Transponder) & Mario W. Cardullo (Active RFID Tag). RFID chips are used in car immobilization, electronic document identification, dog tags & implanted microchips, asset management, baggage handling, cargo & pallet tracking, bank smart cards, contact-less payments, concert ticketing, library book tracking, security door access and employee badging, electronic toll collection, supply chain inventory management, and are even in your city garbage & recycling bins. RFID Chips are considered the foundation of the "Internet of Things", an idea that a vast connected network of electronic devices would all be able to communicate with each other - having sensors, connectivity, and processors built into each of them. By the year 2020, RFID chips are expected to replace traditional barcode technology currently used to identify most of the world's products. A little bigger than the size as a grain of rice, the modern Implanted RFID chip (also know as a Microchip or Biochip) is composed of an Integrated Circuit, Tuning Capacitor and a Copper Antenna Coil, all contained inside a Medical-grade Glass Capsule. The glass capsule is coated in a bio-compatible substance called BioBond (patented by leading animal RFID manufacture Destron Fearing), which enables the surrounding tissues to fuse with the capsule to keep it from migrating. Main uses for Implanted RFID chips are for the identification of lost or stolen household pets, and the inventorying and monitoring of farm animals. There have been cases of RFID chips being voluntarily implanted in humans for various purposes such as medical data tracking. 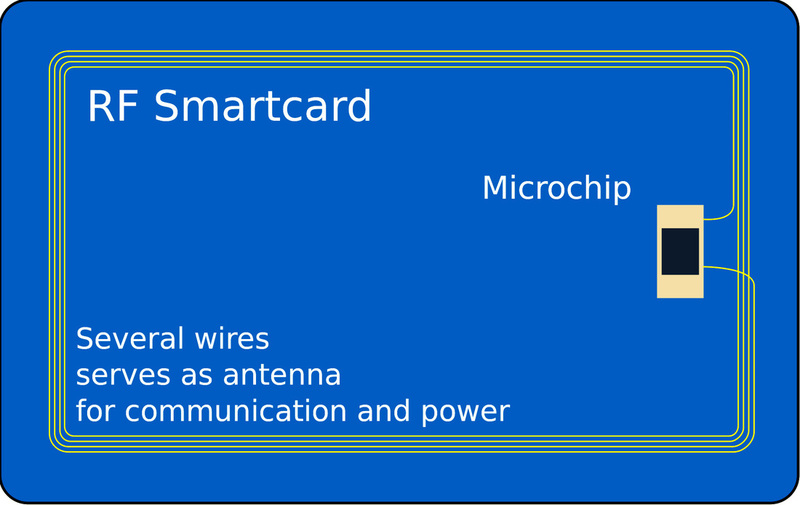 RFID's Chips are also found embedded in tags and cards for use in product inventory and tracking. 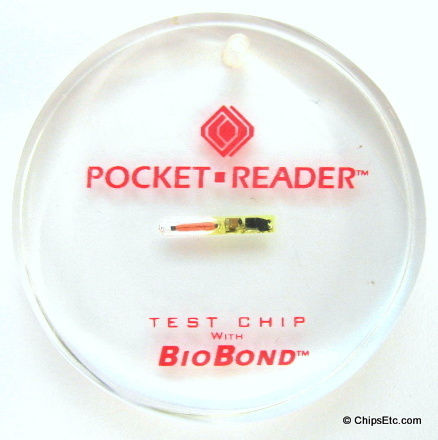 RFID Chips can also be directly embedded into the materials of the products themselves. RFID Chips can be inserted into clothing fabrics, embedded inside plastic consumer products & packaging, and inside electronic payment cards (Smart Cards), as well as in workers access badges. 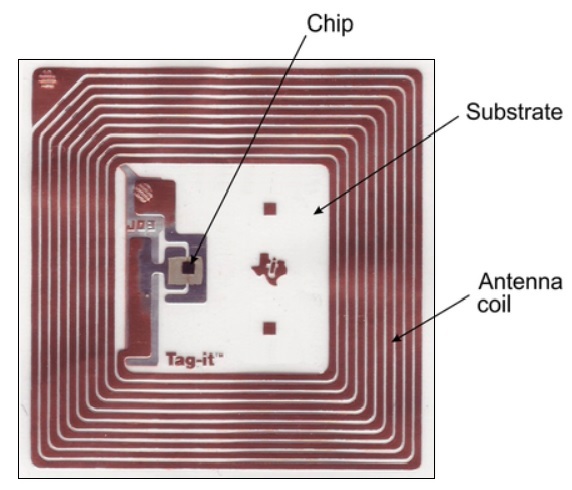 The design of an RFID tag consists of a thin, flat circuit composed of a tiny silicon chip and an antenna. A small electrical current transmitted from a RFID reader energizes the dormant RFID Chip and gives it enough power to transmit it's stored data back to the RFID reader which can be sent to an inventory database. Each RFID Chip can store a unique serial number for each individual product.